There currently are no published data regarding geopressure gradients or maps showing formation pressures. We used pressure data from Temples and Waddell (1996; their table 3) to generate a graph showing the relationship between pressure and depth. The data show a clear gradient of 0.45 psi/ ft. 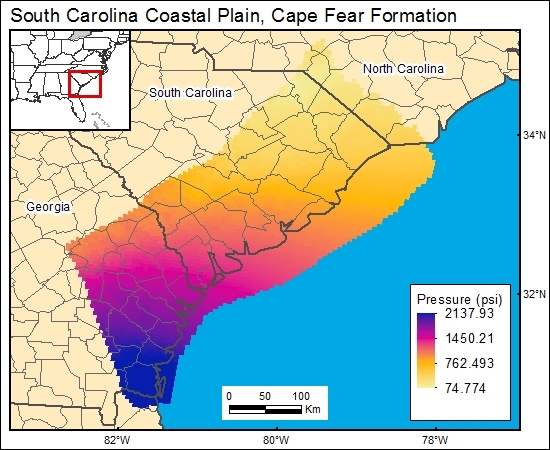 This gradient was used in conjunction with the depth to top of Cape Fear Formation to derive the formation-pressure distribution map presented in the GIS.